In countries around the world, people’s lives are threatened because of who they are or what they believe. Amnesty International puts protecting individuals at risk of human rights violations at the heart of our work. Our campaign for Individuals at Risk mobilises ordinary people to provide hope and transform lives through simple, powerful and persistent action. We help free prisoners of conscience, people imprisoned solely for the peaceful expression of their beliefs or identity. We provide rapid response when detainees are tortured and denied basic rights, when human rights defenders face death threats, when people are discriminated against because they are poor. We act to aid specific individuals at risk and pressure governments to address underlying human rights issues. Each year we work on hundreds of cases from around the world. Standing up for someone in trouble and showing them your support is one of the simplest and most effective forms of campaigning. Knowing that you have not been forgotten and that someone you have never met is fighting for your rights is incredibly powerful. It gives people hope, inspiration and motivation. It also sends a message to the authorities that people around the world are watching what they do. Photo of Jerryme Corre receiving letters from Amnesty supporters worldwide. 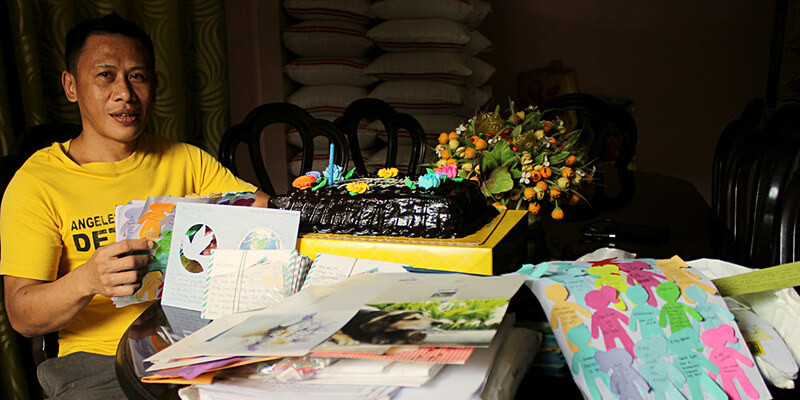 He was released after Amnesty’s successful Letter Writing Marathon, 2014. Amnesty International began with one man’s outrage and his courage to do something about it. After learning of two Portuguese students imprisoned for simply raising a toast to freedom in 1961, British lawyer Peter Benenson published an article, “The Forgotten Prisoners” in the Observer newspaper. That article launched a worldwide campaign that got an enormous response. Reprinted in newspapers across the world, his call to action resonated with the values and aspirations of people everywhere. This was the start of Amnesty International. More than 50 years later, standing up for individuals who have been wronged is still at the heart of what we do. Our Urgent Action Network provides an effective and rapid response to urgent cases involving prisoners of conscience, human rights defenders and other individuals and communities whose human rights are at risk. Members of the Urgent Action Network take action online and send letters, to government officials who have the power to stop the human rights violations. Over the last 50 years we have worked on behalf of thousands of individuals. Millions of letters, emails, faxes and petition signatures have been sent to government authorities to get a conviction overturned, stop torture, or call for someone’s release. We have also send hundreds of thousands of messages of support to people behind bars or their families simply letting them know that they are not forgotten. Thanks to our supporters, we have achieved some amazing results. Here are some of our recent success stories.